I don’t know if it’s a guy thing, or just a “me” thing, but a lot of people have trouble telling when I’m serious or joking, happy or angry. Even people who know me well sometimes can’t tell if I’m just thinking or getting ready to blow a gasket. 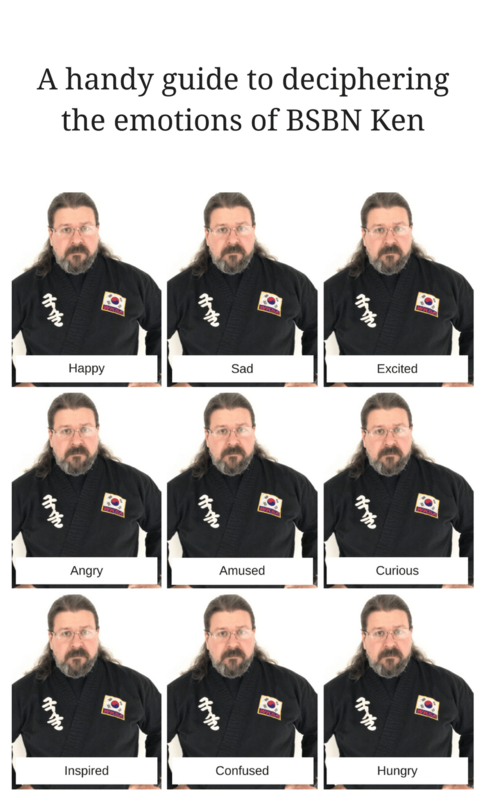 So, ever the helpful teacher, I’ve prepared this little chart (inspired by my son’s Star Wars t-shirt) to help you determine my emotions. Good luck!